93.928%! Charlotte Dujardin & Valegro are a special partnership – what a connection! “The ride he got was the job! 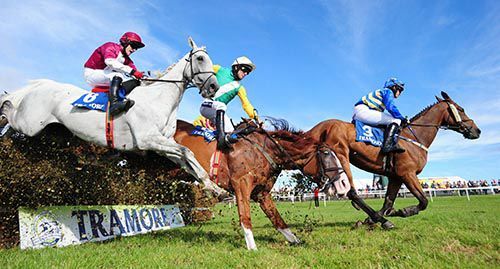 He is a bit daft like his dam and he wasn’t looking at what he was doing at the first and he just took a chance at it,” said Ted Walsh after his Old Castletown won his second race at the festival 2016 to enhance a splendid Tramore record in the Heinz Pollmeier Memorial Handicap Chase. Dressage final 2moro at 14.00. Irish time @JudyReynoldsIRL goes at 14.50. Judy &Patrick during today’s sound check.